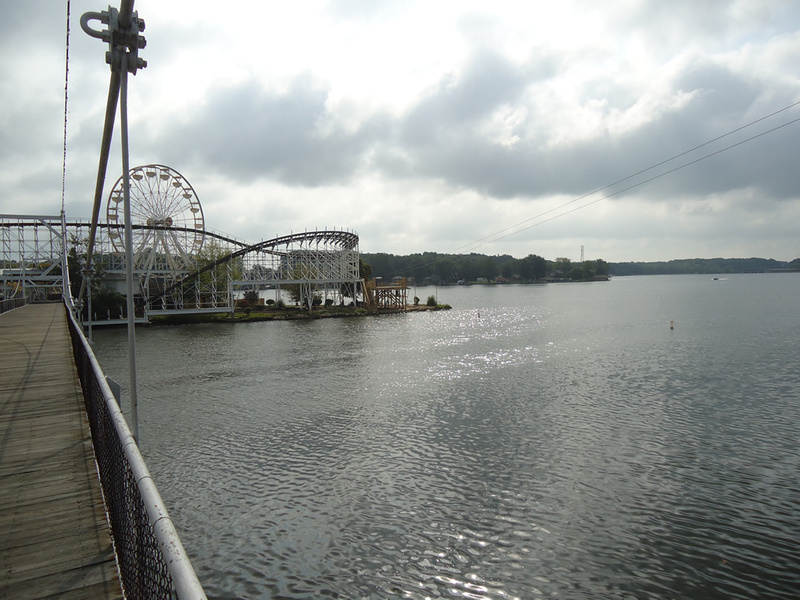 Lake Shafer - 5224 E. Indiana Beach Rd. - Monticello, Indiana 47960. 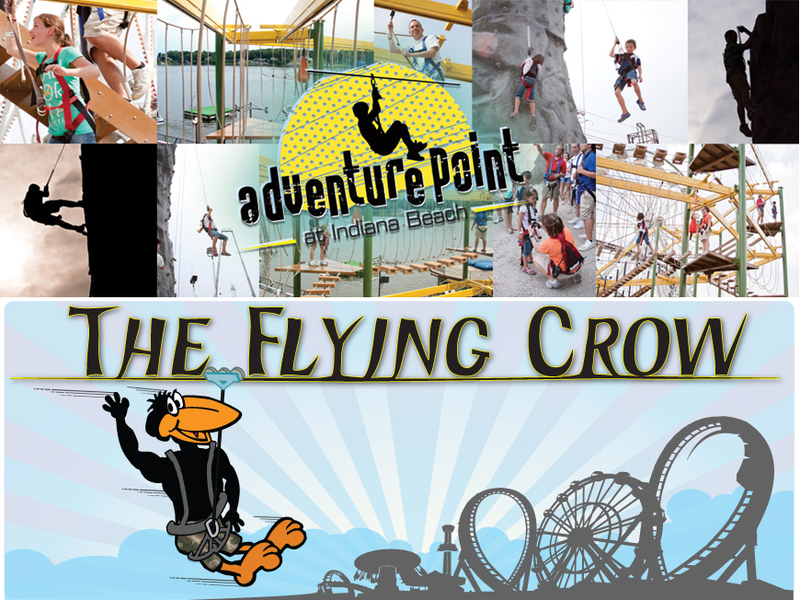 For days/hours of operation please visit the Indiana Beach Amusement Park website or call (574) 583-1063 for ride reservations. 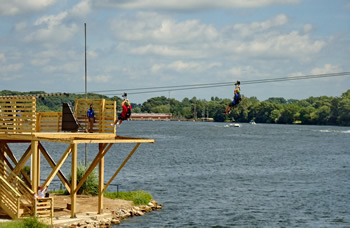 The ZipTour® “Flying Crow” zip line opened to the public at the Indiana Beach Amusement Park during the summer of 2011. 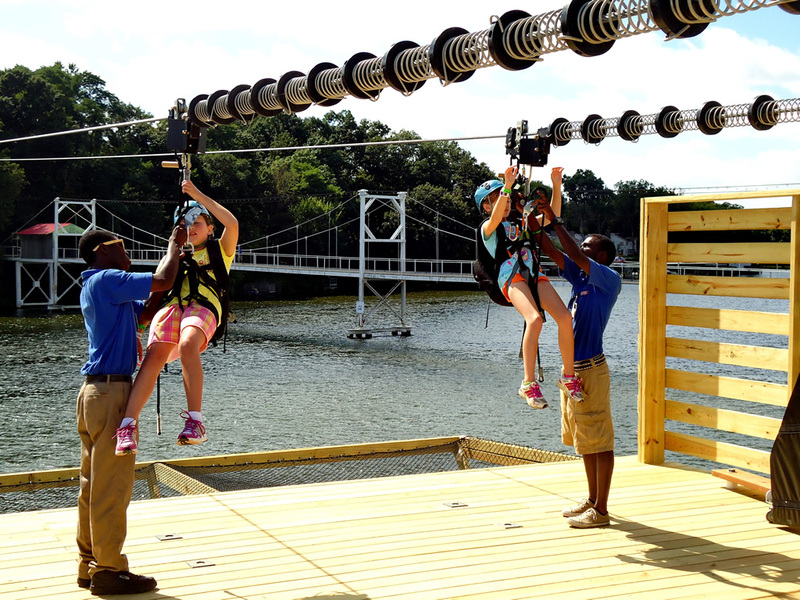 The ZipTour® was a part of the Indian Beach Adventure Point expansion, consisting of new zip lines, a high ropes course and a rock climbing wall. 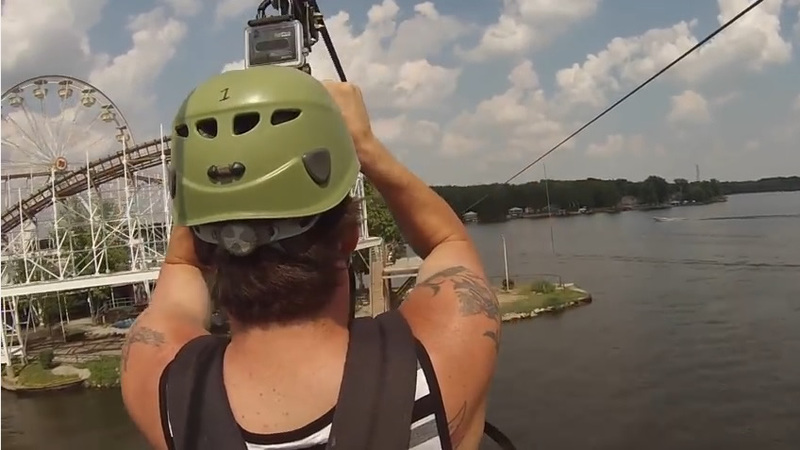 All customers are fitted with a harness, helmet and ZipTour® backpack and trolley. 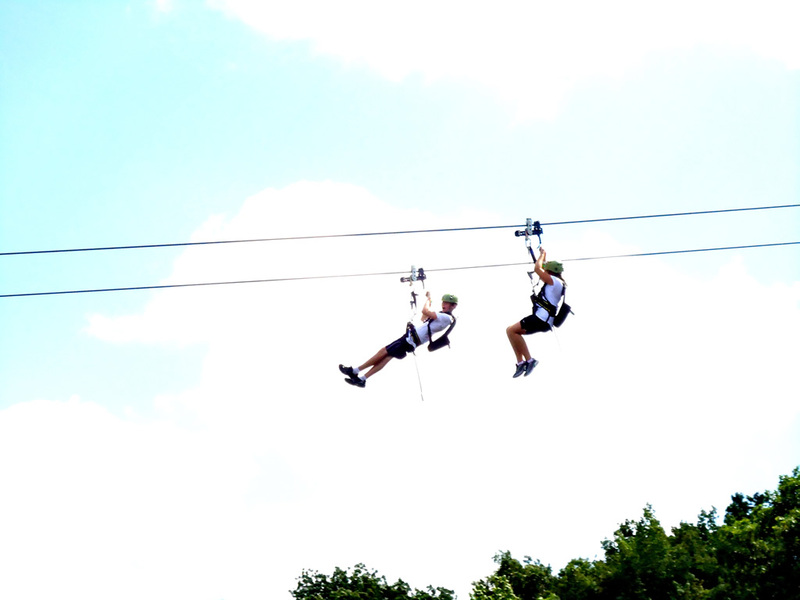 Customers begin their ZipTour® “Flying Crow” zip line adventure with a walk to the “Demo Zip” behind the equipment building. 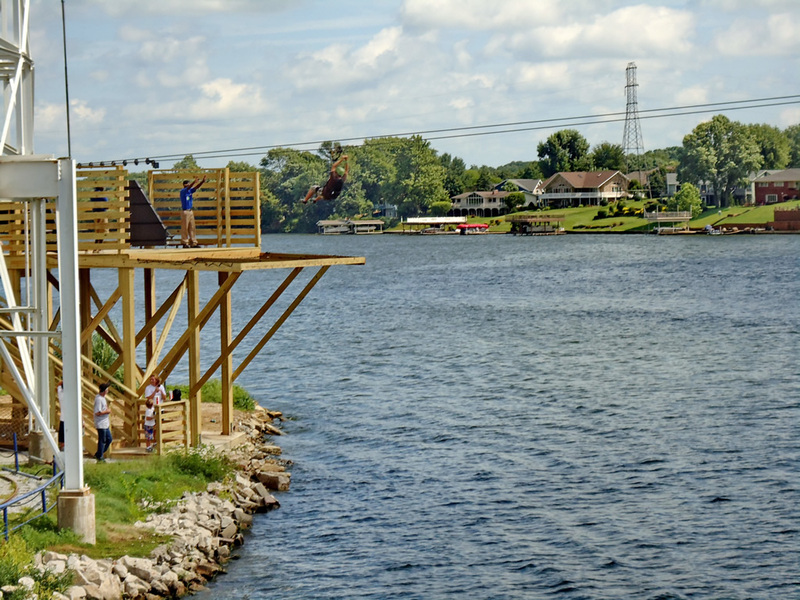 The “Demo Zip” is a very short zip line span across water that allows riders to become familiar with the ZipTour® trolley braking mechanism, and assures both the customer and the operators/guides that they are ready for a safe and exhilarating flight across Lake Shafer. 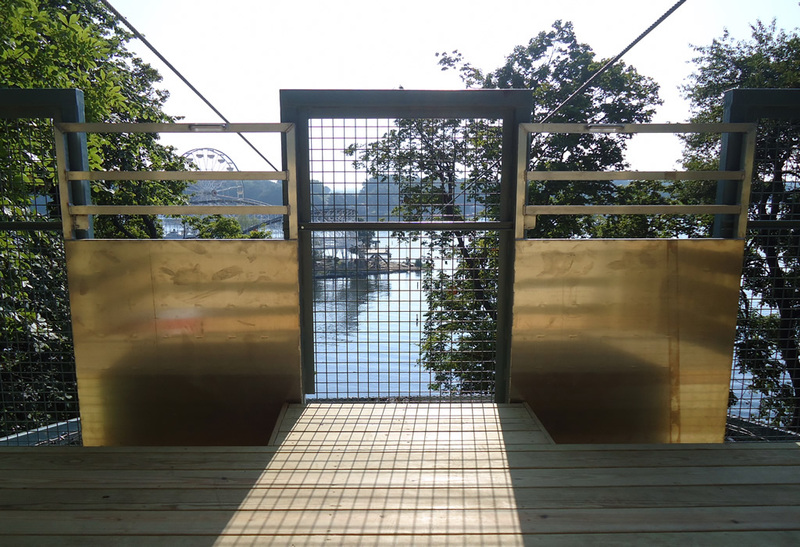 Once customers have completed the Demo Zip it's a nice walk across the bridge to the ZipTour® launch tower. 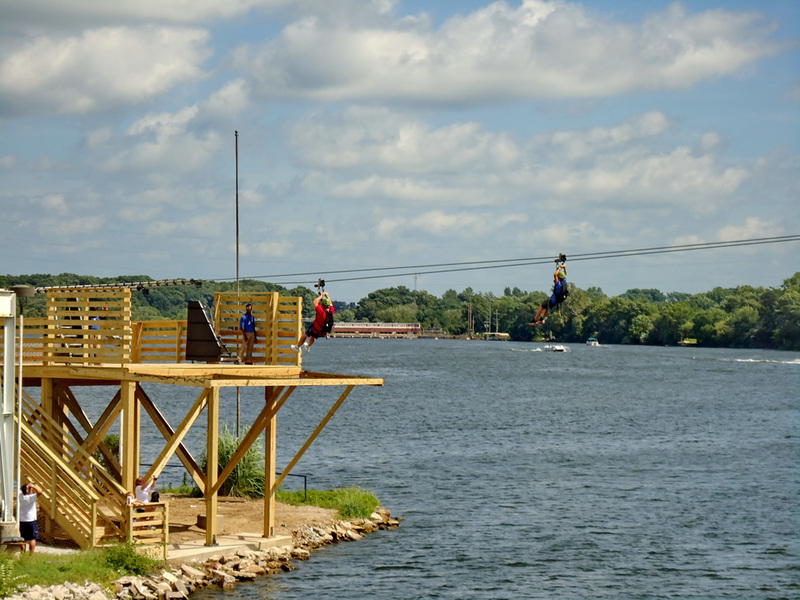 When customers are rigged and ready to zip, it's an exciting ride off the deck, through the trees and over Lake Shafer! 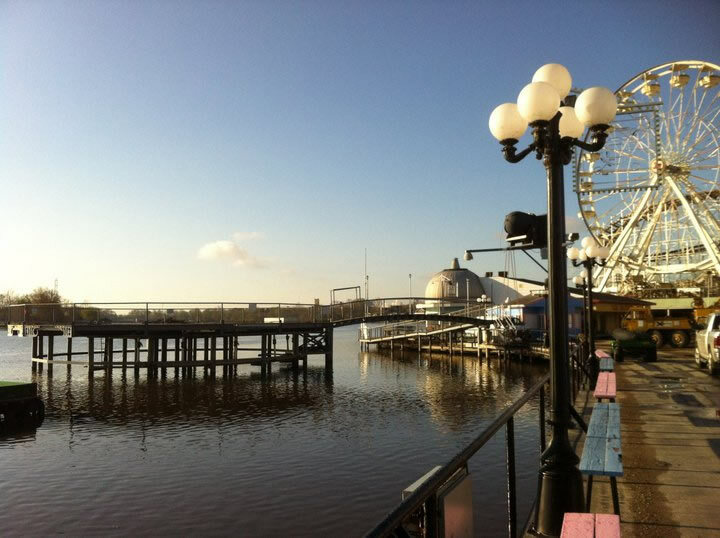 Riders begin to slow their trolleys down as they approach the landing deck, where they are greeted by the staff and safely lowered to the deck platform. 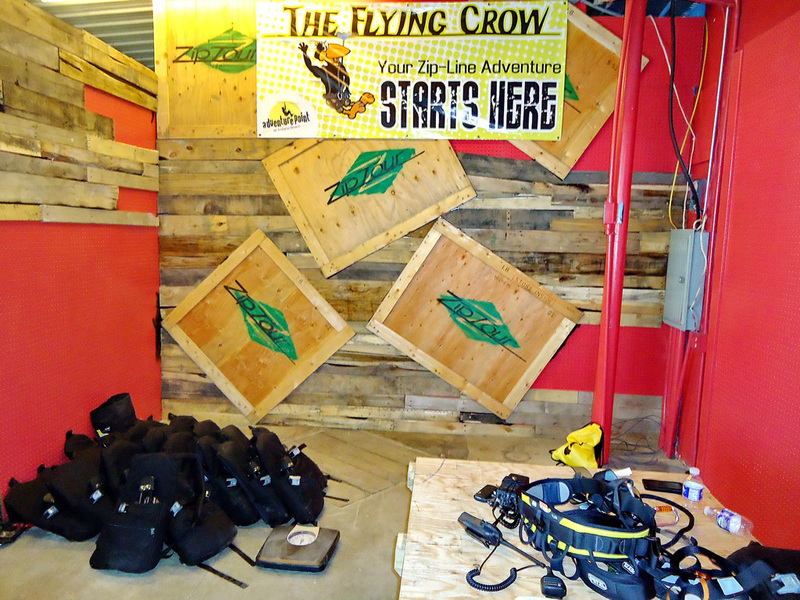 If customers have only signed up for one lap on the Flying Crow, they will walk back to the Flying Crow equipment building to return their equipment. READY FOR YOUR SITE ANALYSIS?